This project embraces and implements fully the concepts of flexible modern working. With 174 generic workstations available to anyone within Barclays, the office provides an adaptable setting for today’s workforce, and is future proofed for any changes that might occur in the business. 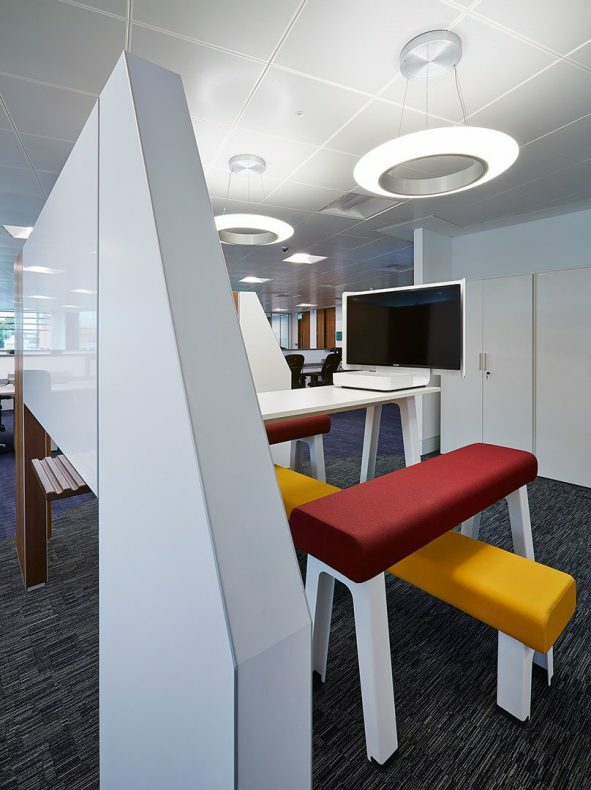 A range of collaborative work settings – ranging from lounge style seating, conventional tables and chairs and stand up tables and benches – are all fully IT enabled. The building has been designed with an irregular geometry, creating a workstation layout that is efficient but not rectilinear or too repetitive, and works effectively with the structural grid and cladding. 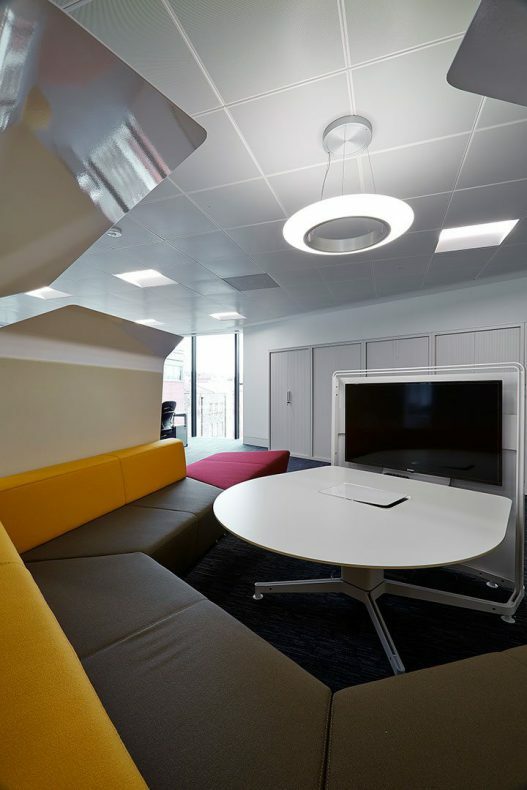 High quality meeting rooms, client entertaining areas and staff facilities are incorporated into the fitout, and the project itself was completed by Overbury in just 12 weeks. 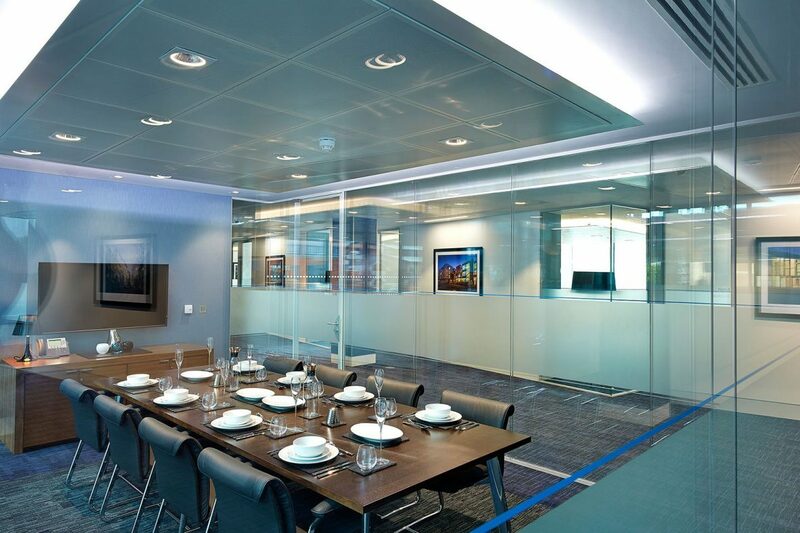 This fitout reinforces Barclays commitment to energy reduction. LED lighting throughout contribute to the subsequent achievement of a SKA ‘Silver’ rating. Our new office at Bridgewater House has been thoughtfully designed to accommodate differing needs across three business areas. The non-linear lay out provides a spacious and relaxed working environment, with lots of natural light in all areas. The collaboration zones work well and act as feature in office, and the Client suite is excellent, with large bright meeting rooms. 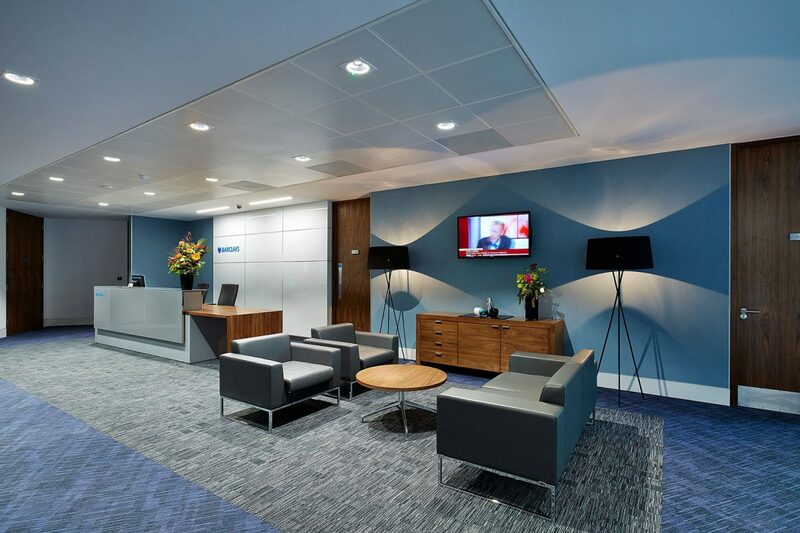 The aim of this project was to relocate Barclays Wealth and Corporate Businesses into one new space in the centre of Bristol. It involved the creation of new client meeting facilities, branding opportunities and a new collaborative working environment that would enhance staff retention, and allow each business to meet their recruitment and revenue targets by attracting new clients and staff. The project was the fit out of the 4th floor from developers shell and core. The floor area was 18,500sqft and the brief was to provide 174 workstations and support spaces along with a suite of client meeting rooms. The greatest challenge on the project was the particularly tight timescale for the works. 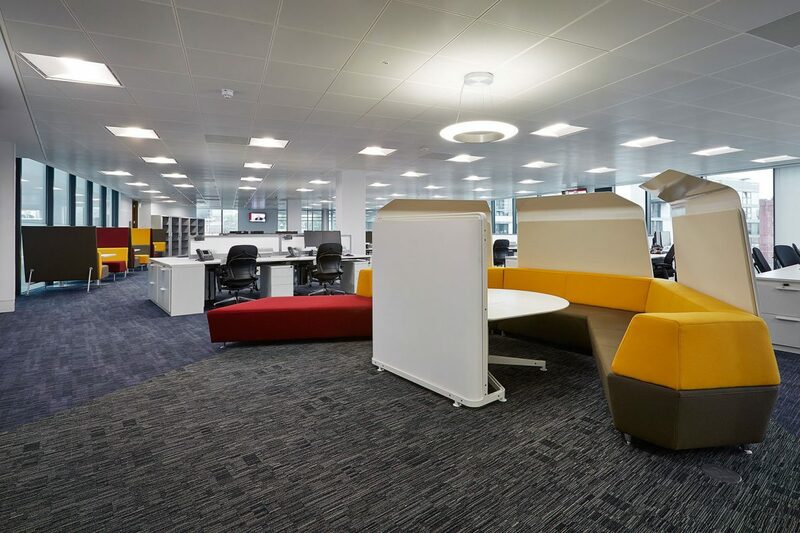 The full Cat A & B fit out was required to be completed in a 13 week construction period, this was all that was available due to the lease expiry on currently occupied offices elsewhere in Bristol. The move of all 170 staff from two separate locations in Bristol was orchestrated over a single weekend. Works were completed in September 2013. The construction cost was £1.95m. The floor plate was taken as a shell and core space requiring extension of the space conditioning and ventilation services to meet the needs of the space plan. An additional AHU was installed at roof level to provide the clients meeting room suite with enhanced capacity for conferencing and client dining. The project incorporated full IT including CER with gas suppression along with new incoming fibre connections. LED lights have been used throughout the fit out, providing lower heat generation, lower running costs and a high degree of control and programmability. The project team sought our views at each stage of the development and this has been both transparent and educational. The site visits enabled the team to visualise what would be their new office and reduced the unease of having to vacate the previous premises which had been occupied for so long. For what was a major move this went through incredibly smoothly and already feels like home.